All our strawberry plants are grown according to the ‘Elite’ system of Naktuinbouw, the Netherlands’ Inspection Service for Horticulture. This system is based on fully inspected starting material that is multiplied via a pyramid system to obtain clean propagating material for marketing. The ‘Elite’ quality mark involves a good deal more than standard quality inspections. The propagating material must meet more stringent requirements with respect to origins, identity, trueness to variety, varietal purity, health (free of viruses, fungi, bacteria and nematodes) and internal and external quality. All our strawberry plants are obtained from the clean starting material we grow ourselves in our aphid-free greenhouses with hygiene sluice access. This enables us to guarantee top quality in the very best way. This website gives you more information on our various varieties and types of strawberry plants, and what they can be used for. 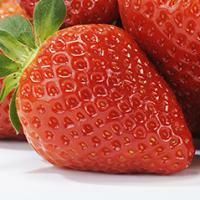 We will of course gladly provide any advice you would like in choosing your strawberry variety and plant type.